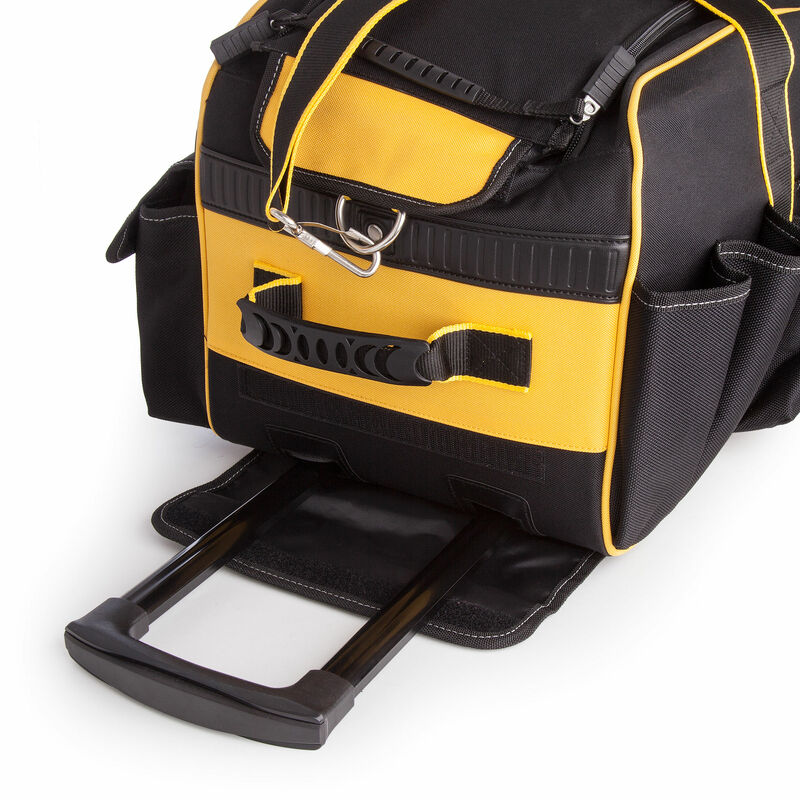 A big toolbag to hold stacks of tools which can be easily moved around on hard wearing wheels with bearings and a telescopic handle. 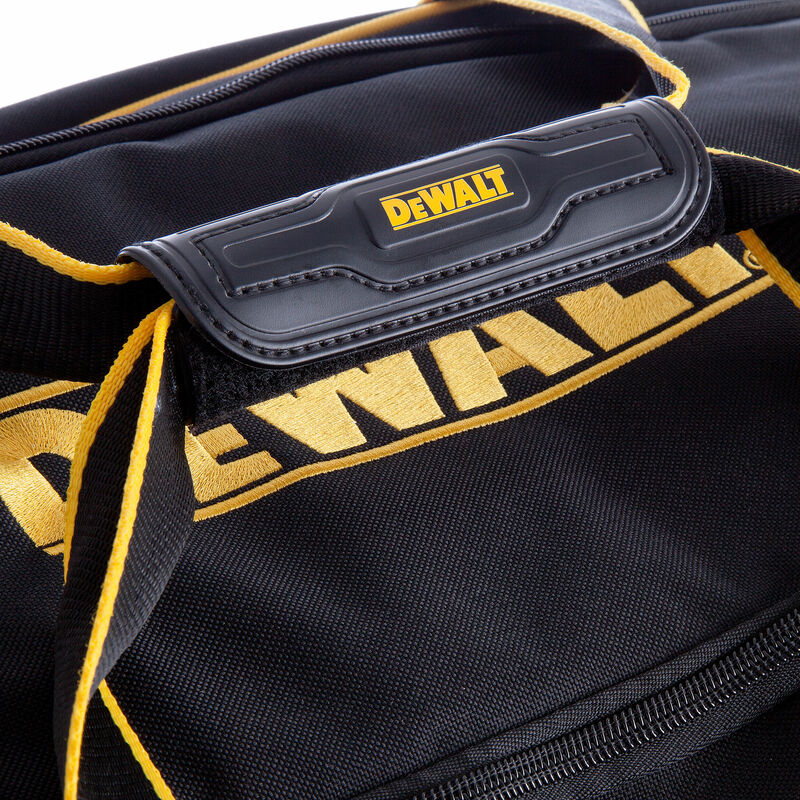 The Dewalt DWST1-79210 has a huge storage capacity with 8 external pockets for your most used tools. Internally there are 4 pockets, a drill holster and a removable divider. 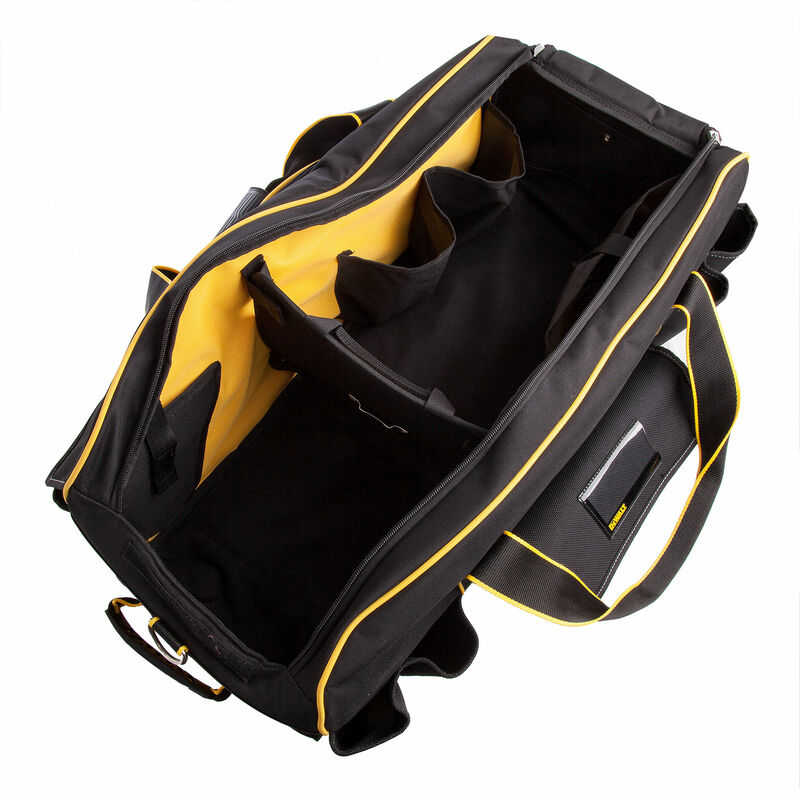 There are double heavy duty zips at the top of the bag which do a great job of opening the whole bag up for easy tool identification and selection. 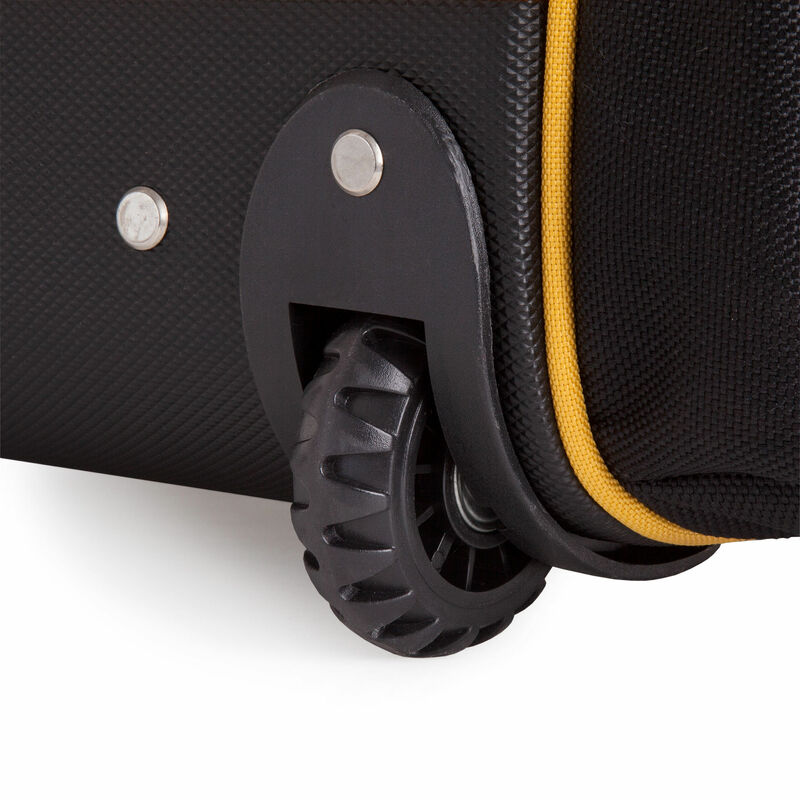 The body of the bag is of a padded woven nylon material both inside and out, the base and sides are stiffened for added rigidity. There are two plastic rails on the bottom which lifts the bag up slightly from wet floors.